Salt Lake City is a scenic medley of modern skyscrapers, historic sites and picturesque locales. This popular skiing destination was the host for the 2002 winter Olympics. One of the largest cities in the southwest region of the United States, Salt Lake City is also the largest town in Utah and capital of Utah. Salt Lake City is the world headquarters of the Church of Jesus Christ of Latter-day Saints and the world-famous Mormon Tabernacle choir. Find out more about travel to Salt Lake City. Salt Lake City snuggles amidst the Wasatch Mountains and the Great Salt Lake Desert. The gigantic Wasatch Mountains that get covered with snow every winter serve as a backdrop for the city. 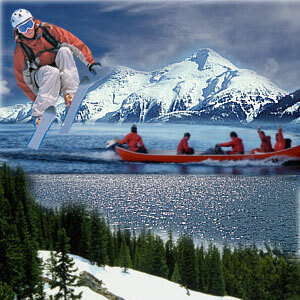 Salt Lake City is renowned for the numerous ski resorts, picturesque natural parks and plenty of entertainment options. This place has the 'greatest snow on earth' thereby attracting a continuous flow of skiing enthusiasts from all over the world. Salt Lake City has established itself as a wonderful gateway for skiing, outdoor sports and activities, nightlife, lively entertainment and camping. Salt Lake City is best known as the cultural and political center of Utah. The climate at Salt Lake City varies from season to season. Winter is from Mid-November to early March, spring from March to late May, summer from May to mid-September and autumn from September to mid-November. Snow fall is severe during winter and makes it ideal for skiing. Light snowfall and warm temperatures make autumn the best season to visit Salt Lake City. Traveling to Slat Lake City is not difficult as the place is served by many international airlines, buses, and trains. Getting around within the city is comfortable with the buses, and trains. Taxis and bicycles are other alternatives to go around the place. Plenty of accommodation is available for the tourists. 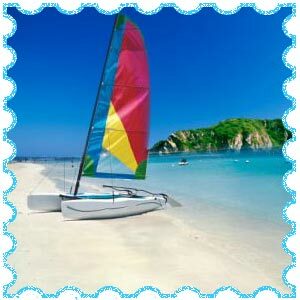 Bed and breakfast, guest houses, hotels, hostels, and camping sites are available aplenty. Fry sauce accompanied by French fries is a local delicacy that should not be missed out. Historic temple square: Historic Temple Square is a very famous tourist spot at Salt Lake City. The famous LDS temple square is world renowned for the Mormon Tabernacle choir. The Historic Square includes various attractions that speak of Mormon Pioneer history and genealogy. Salt Lake Temple: The structure is designed in the neo-gothic style and is made of granite. Only members of the Church of Jesus Christ of Latter-day Saints are allowed to enter the temple, non-members can go around the temple surroundings. The workmanship of the temple and the peaceful ambience induces a tranquil sensation in every visitor. South visitor's center: Displays pictures of the temple. North visitor's center: An eleven-foot tall statue of Jesus Christ called 'The Christus' is kept here. Museum of church history and art: Displays the 1830 edition of The Book of Mormon and various other things used in that period. The family history library: Famous for having the world's largest collection of genealogical resources. Mormon Pioneer Memorial Monument: This place houses the gravesite of Brigham Young and a memorial monument in honor of the 6000 pioneers who died while journeying through the plains in between 1847 and 1869. Brigham Young lead the Mormon Pioneers from Illinois to Utah and further guided them in setting up an affluent culture and society. Brigham young historic park: This Park was a part of the farm owned by the Mormon leader Brigham Young. Concerts are held in the evening during summer every year. Social Hall Heritage Museum: This was the place where the initial residents of Salt Lake City gathered to relax and have fun by singing and dancing and being with friends. It has been converted into a museum and showcases the different sides of the lives of the pioneers. Beehive house: This mansion was Brigham Young's home; the mansion has been renovated and converted into a museum. Lion House: One more house of Brigham Young, it has been converted into a social center and has a restaurant functioning in the complex. Bonneville Salt Flats: Bonneville Salt Flats is one of the flattest places of earth; so flat that visitors feel they are able to see the curvature of the planet. The plain here is perfect for racing; racing events are conducted here once annually. Ancient Lake Bonneville: The Bonneville Salt Flats and the Great Salt Lake are the remnants of the ancient Lake Bonneville that was once as large as the Lake Michigan covering one-third of today's Utah and its neighboring states. The Great Salt Lake: One of the most popular tourist's spots of Utah, the Great Salt Lake and its surrounding islands are breathtaking during sunrise and sunset. The lake is formed from the remains of the ancient Bonneville Lake and looks spectacular. Kennecott copper mine: This mine is the largest man-made mine in the world and is visible from outer space too. This mine also has an exhibit of mining equipment used in the past and plays a major role in educating people about secure and environmentally friendly mining. Utah Olympic park: Salt Lake City hosted the 2002 winter Olympic Games community facilities. 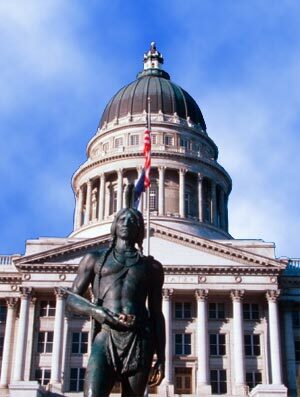 Utah State Capitol: The striking granite structure is a replica of the national capitol building in Washington D.C. The Utah State Capitol is located on atop a hill and boasts of acres of wonderful landscaped gardens. Wasatch-Cache National forest: The highway leading to this Park is picturesque; the most popular route being the Mirror Lake Scenic Byway. Enroute there are numerous camping and picnic spots. Clear blue mountain lakes offer great fishing experience. Places of interest include world-renowned geologic structures in Ogden canyon, old mining activity in Big and Little Cottonwood Canyons and the location where granite was quarried to construct the Salt Lake Mormon temple. Skiing is the most popular activity in Salt Lake City. The numerous ski resorts here provide wonderful skiing experiences during winter and numerous other activities during summer. There are wonderful biking trails in this place. Salt Lake City has an active night life filled with concerts, night clubs, plays, shopping etc. The city offers the best scenic drives through the Wasatch Mountain range. During fall the drive is a great pleasure as leaves on the trees change their color. 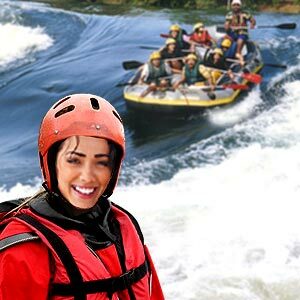 Other activities include trips on hot air balloons, adventure trips, golfing, rock climbing, rafting, kayaking, snowboarding, and horseback riding.